On behalf of admin of JML Law, A Professional Law Corporation posted in wrongful death on Tuesday, May 15 2018. A death of a dearly loved family member is always a traumatizing and complicated experience, and so is recovering compensation by filing a wrongful death lawsuit in California. Not only are wrongful death lawsuits expensive and exhaustive, but also confusing. This is why the vast majority of heirs of deceased persons in Riverside and all across California choose to be legally represented by an experienced wrongful death attorney. “In a nutshell, a wrongful death lawsuit is a civil lawsuit that can be filed by eligible heirs against an individual or business responsible for the death of a family member,” explains our Riverside wrongful death attorney at the JML Law. How to win a wrongful death case in California? In order to succeed in a wrongful death lawsuit and recover damages, there are certain elements that need to be proven and established by you and your lawyer to receive compensation. 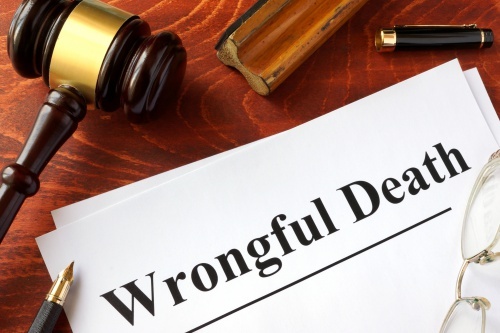 Wrongful death lawsuits refer to the death of a person as a result of negligence, recklessness, intentional and wrongful act, omission to act, or breach of contract. If negligence is the basis of your wrongful death claim, then you must establish four elements of a negligence-based claim: duty of care, breach of duty, causation, and damages. If the act was intentional, the heirs will have to establish nonconsensual contact. But if the wrongful death involved a defective product or medical malpractice, the eligible heirs of the deceased will have to approach the case differently. In these cases, it is highly advised that you speak to an experienced wrongful death lawyer in Riverside or elsewhere in California. Any other persons or family members dependent on the deceased, including parents, stepchildren, and other relatives. Our Riverside wrongful death attorney warns that wrongful death lawsuits must be filed jointly by all the eligible heirs. Failure to include all of the legal heirs may result in the suspension of your lawsuit or unnecessary delays. What damages can you recover in a wrongful death lawsuit? Although no money in the world can bring back your loved one, California wrongful death laws state that “just” damages may be awarded to the heirs of the deceased. Generally, there are two types of recoverable damages in wrongful death cases: economic and non-economic. Non-economic damages include but are not limited to the loss of love and affection, loss of companionship, and loss of sexual relations. If you are not represented by an experienced wrongful death lawyer in Riverside or elsewhere in California, you will most likely not be able to recover the following damages: pain and suffering of the deceased before the death; medical expenses incurred by the deceased and his/her family before the death; and even the surviving relatives’ grief, suffering and mental anguish. Is it possible to calculate wrongful death damages? While there is no “calculator” that would determine the exact or approximate value of your wrongful death claim, only a skilled wrongful death lawyer can advise you on what your wrongful death case is worth by taking into account all of the factors in your particular case. Contact the JML Law for a free case evaluation today. Call our offices at 818-610-8800 or send us an email.